Get theater tickets and enjoy the spooky stories and psychic magic of one of the top Chicago attractions, Supernatural Chicago. 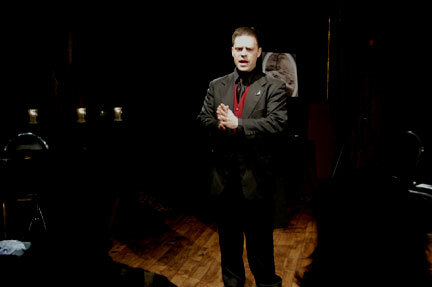 In every performance of Supernatural Chicago, Neil Tobin, Necromancer introduces theatergoers to some of Chicagos most well documented paranormal events, brought to life through spooky stories combined with interactive demonstrations of mindreading, magic and other phenomena that involve the audience in memorable ways. It's sometimes funny, sometimes dramatic. And as one of the top Chicago attractions, it's always a great start to the weekend. Supernatural Chicago begins promptly at 7:30pm every Friday night (plus Saturday nights in October) at Excalibur nightclub, 632 N. Dearborn at Ontario, and lasts approximately 90 minutes. Admission is $25, which includes two free beverages (courtesy Supernatural Chicago) and general admission to Excalibur nightclub for the evening. When available, guests may get theater tickets at the door at 7:00pm; however, seating is limited to only 50 attendees per performance. To guarantee entry, theatergoers are encouraged to check availability at Zerve and purchase tickets online now or by phone at 800-979-3370.